Even when I go to expensive restaurants, when given a choice I usually go with the Apple Crumble or Apple Tart! Crumbles rock! 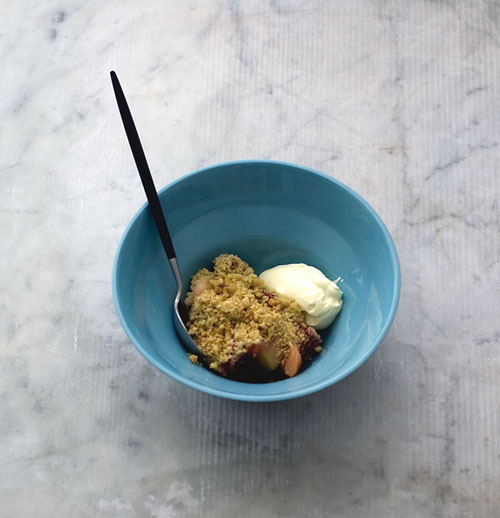 I can’t think of a single person who doesn’t love fruit crumble. It’s definitely a crowd-pleaser, especially if served with vanilla ice-cream! Ah I’ve missed your posts! But alas, life takes over sometimes. Apple and strawberry are bliss together but have you tried quince and berries? Match made in oven. Eva@thehungryplum : Don’t think I have! It’ll have to wait until next year I’m afraid, since quince season is now long gone!